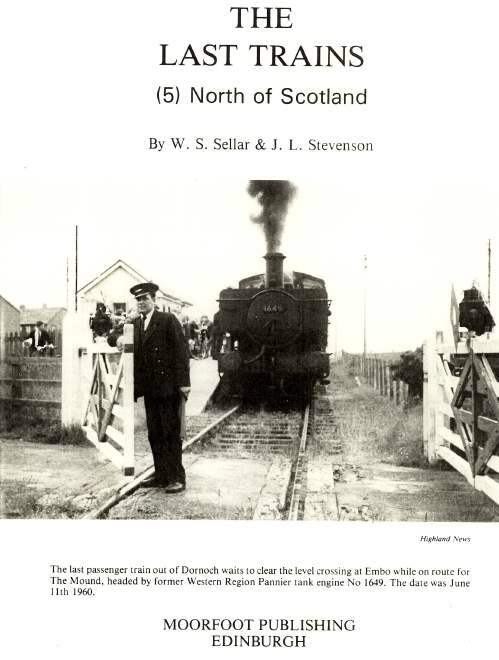 Photocopy of the title page of The Last Trains (5) North of Scotland by WS Sellar & JL Stevenson, showing locomotive 1649 at Embo crossing 11/6/1960. Could that be Donnie Bain opening the gate? He did start his working life on that line and went to main line after.